INT : Wiper operates intermittently at the same wiping intervals. 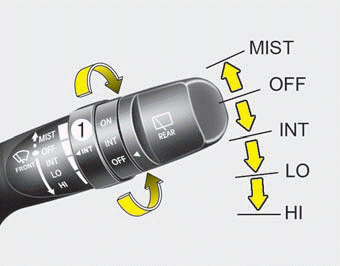 Use this mode in light rain or mist. To vary the speed setting, turn the speed control knob (1).